Members of the St. Francis Mountain Bike Team. Saturday happened to be a perfect day for a mountain bike ride, in addition to being day one of GU product use and review. 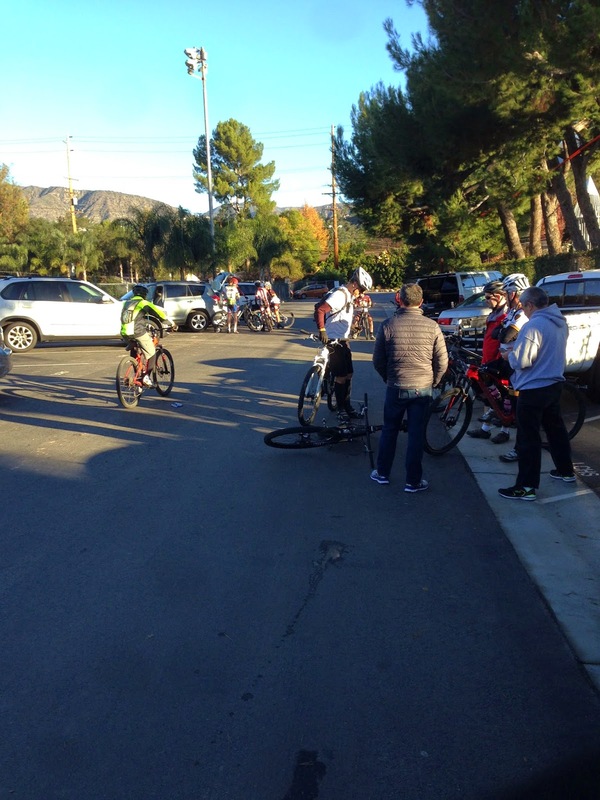 After returning from California Polytechnic State University, San Luis Obispo and arriving in my hometown, on Friday afternoon, I was determined to make it out to a high school ride on Saturday morning. St. Francis High School, which is located in Southern California, provided me with an outstanding four years of high school education and a platform for high school mountain biking, in the SoCal High School Cycling League, a subsidiary of the National Interscholastic Cycling Association (NICA). As a first year alumni, many high school friends continue to practice and race with the St. Francis High School Mountain Bike Team. Therefore, Saturday provided a great opportunity to tag a few hometown trails, while catching up with high school friends and riding partners. 58:00 - One 16 ounce bottle of Watermelon GU Brew drink mix completed. One half of a peanut butter and jelly sandwich eaten. 1:15 - One GU Vanilla Bean energy gel eaten. 2:08 - One half of a peanut butter and jelly sandwich eaten. 2:13 - One 16 ounce bottle of Watermelon GU Brew drink mix completed. 2:35 - One GU Salted Caramel energy gel eaten. 2:58 - One 16 ounce bottle of Lemon Lime GU Brew, with an electrolyte drink tablet completed. With a total of three hours completed, multiple GU products did a perfect job of keeping me fueled, without an upset stomach. By 58:00 minutes, I had completed one 16 ounce bottle of Watermelon GU Brew drink mix and one half of a peanut butter and jelly sandwich. After a light breakfast, I wanted to start this ride with solid foods. My estimated caloric intake, for the first hour, was about 490 calories. An hourly intake of 490 calories was on the heavy side but comfortable, especially after a minimal breakfast. By 1:15 minutes, I had eaten a GU Vanilla Bean energy gel, for 100 calories and a minor caffeine jolt. Through mixing solid foods and bars, with gels, I have found a system that provides me with a consistent amount of sustainable and rapid energy. In the second hour of riding, I consumed one half of a peanut butter and jelly sandwich and a GU Salted Caramel energy gel. In total, about 520 calories, which was on the heavy side. 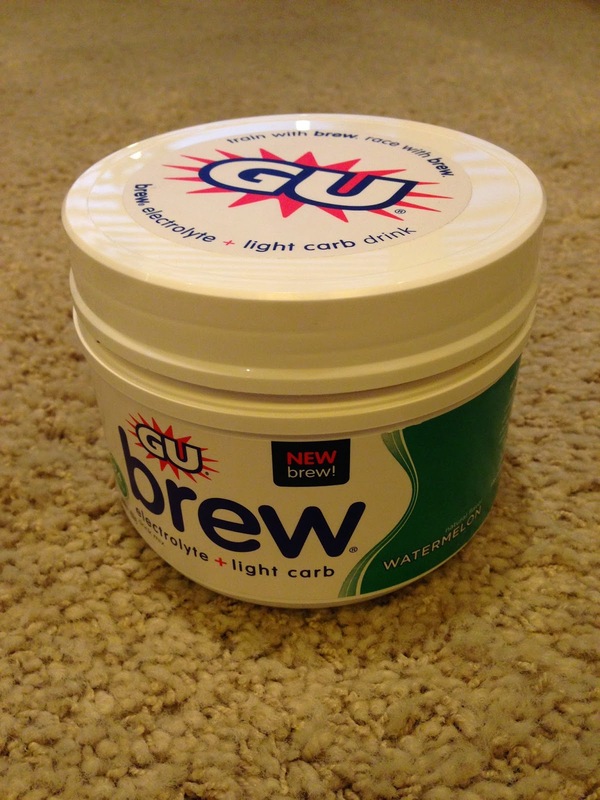 After eating well, throughout the ride, but not feeling bloated, I added one Lemon Lime GU Brew electrolyte drink tablet to my third 16 ounce bottle. The electrolyte drink tablets are light on calories, with only 10, but they provided a healthy amount of sodium and potassium, in a fizzy form. As I continued to ingest food, I did not need to ingest liquid calories but drink tablets maintained my electrolyte levels. The fizzy electrolyte drink tablets provided an appeasing change of pace and taste, which I greatly appreciated. Over time, the drink began to flatten. 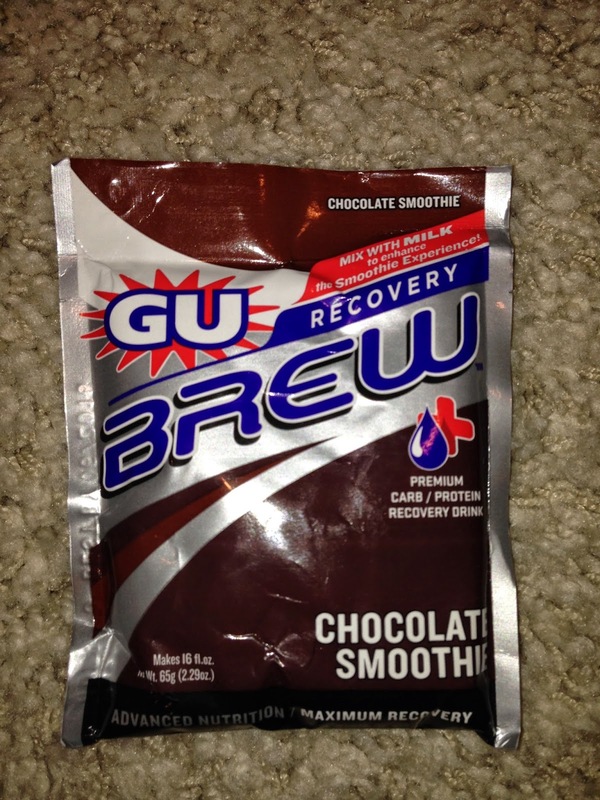 After completing my ride, I refueled with eight ounces of milk and a GU Brew Chocolate Smoothie recovery packet. Overall, Saturday proved to be a lighthearted and enjoyable mountain bike ride. While focusing on my nutrition, I did consume a high amount of calories per hour, after a light breakfast. However, I never felt bloated or weighed down. 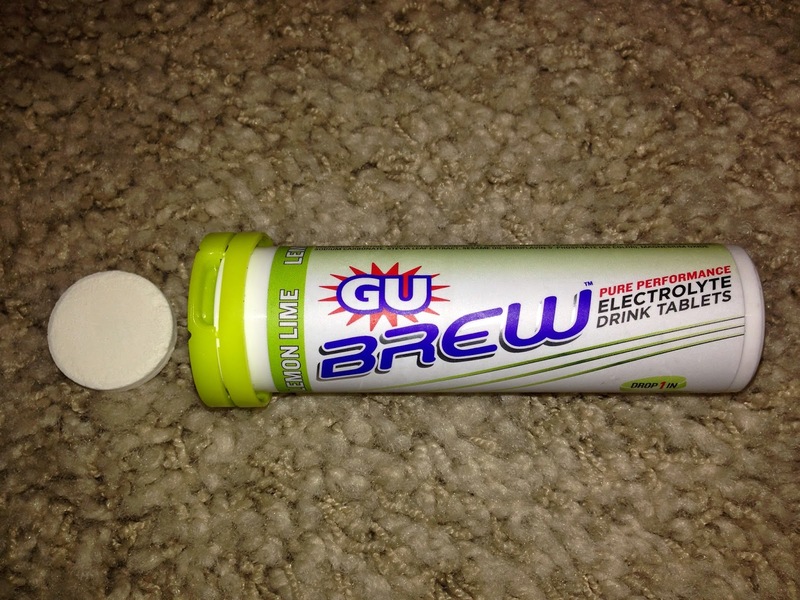 The GU energy and recovery products were ideal for Saturday's mountain bike ride and I was very impressed. 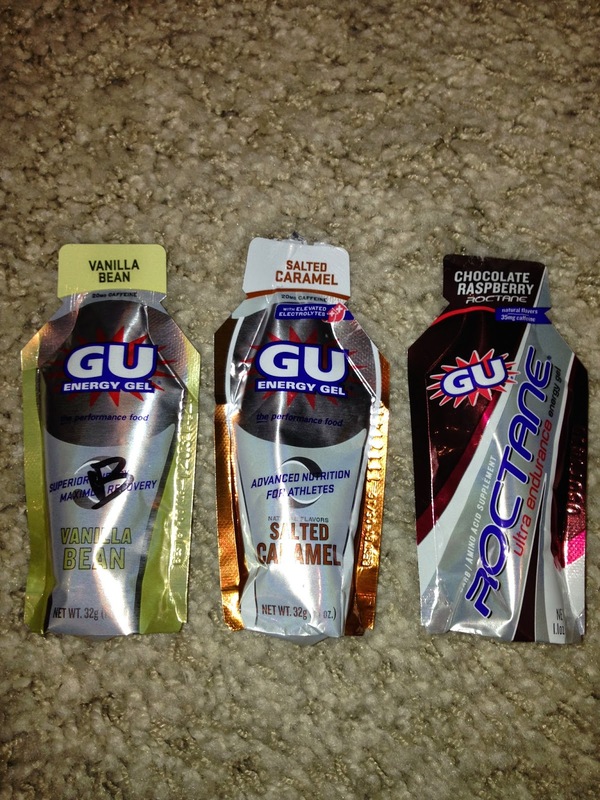 Throughout the range of GU products, the gels, drink mix, drink tablets, and recovery mix were easy to process and refreshing.